Deutsche Bank is pulling out of Russia. The bank said it is closing its investment banking business in the country, and will in future work with Russian corporate clients from abroad. 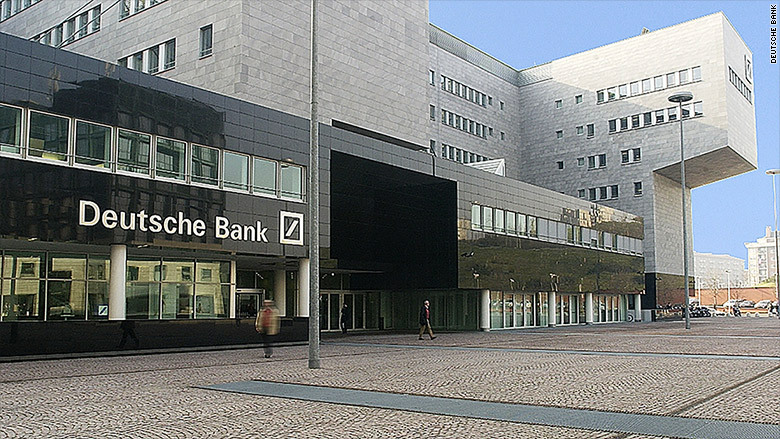 Deutsche Bank (DB) was one of the top 10 investment banks in Russia, generating about $160 million in annual revenue. Some 200 bankers face redundancy or relocation, but about 1,000 mainly technical staff will remain to support basic services such as cash management and transfers. The exit had been rumored for some time. The head of the bank's Russian operation, Joerg Bongartz, recently quit Moscow for Frankfurt, where he will oversee regional operations in central and eastern Europe. Germany's biggest bank is entangled in a series of scandals in Russia. It launched an internal investigation into possible money laundering by some of its Russian clients earlier this summer. And it is under investigation in the U.S., Germany, and the EU over suspicious share dealing in Russia. Like many foreign lenders, Deutsche has been hit by the Russian economic crisis, which was triggered by a collapse in oil prices and Western sanctions on Moscow. The measures included a ban on Russian companies raising money in Europe. The bank said the decision to pull out of Russia is part of "an ongoing review of the bank's global footprint." Deutsche's new co-CEO, John Cryan, announced the plan to streamline the bank shortly after his appointment in June. In April, Deutsche agreed to pay $2.5 billion to settle U.S. and U.K. charges that it conspired to manipulate benchmarks used to set interest rates worldwide.